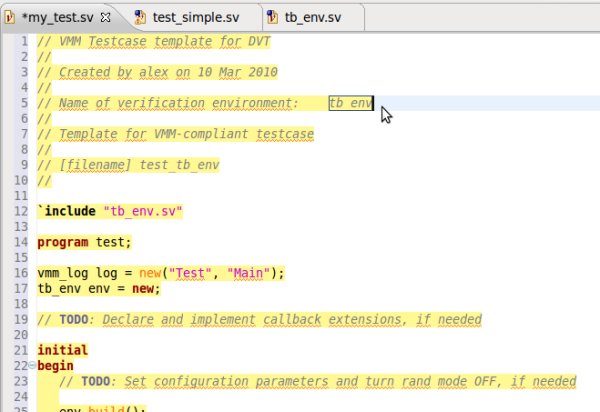 DVT offers autocomplete templates for VMM components. Just type in the editor VMM then hit <Ctrl + Space> twice and a drop-down list will offer you the available templates. After you pick the desired template, you can fill in the template parameters (e.g. transactor name, environment name etc. ).